Jessica Crawford is originally from Bridgewater, Virginia but like many American (and British) artists when she heard the call to music ministry, after a short detour in seminary, she headed for Music City, Nashville. After a number of years working with various artists and being involved in inner city mission Jessica left Nashville for a new role as Worship Arts Director for the Fountain of Life church in Burlington, New Jersey. In 2017, before she left, she recorded and released a 5-Track EP called "Wildfire" and now last year she worked with Old Bear Studios to record this new 4 track EP "Honestly" written in partnership with Brothers McClurg. She has also previously appeared on another Old Bear album with Ian Zumback on the track "Murderer A Messenger" on his album "The Table". The title track "Honestly" opens up this EP and very quickly you know that Jessica has a special vocal. This quite slow and deliberate track is her journey of opening up her heart before God. She admits that there is history that she doesn't want to talk about, and scars that she knows that she can bring to Jesus. Going through life we try and hide bits of ourselves and present the best image of ourselves to other people, but this song is about how God already knows us thoroughly and isn't looking to catch us out for what we don't have. This is quite a vulnerable song but there is definitely a strength behind it, to take this step and stand, maybe we will learn more of the artist as we carry on through the release? 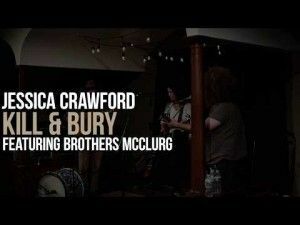 The next track "Kill and Bury" is surprisingly jaunty given the title, with a great folk feel this track talks about mental health and the voices in her head dragging up the past. These reminders of the past are what she wants to kill and bury, nothing else! The vocal here reminds me of Fern from the UK duo Daughters of Davis, and actually this song would slip nicely into their repertoire as it's very similar to many of the topics their songs deal with. "Let Go and Let God" is a pretty self-explanatory title for the next song. Accompanied by an acoustic guitar the vocal still carries a gentle reassurance that this is something that Jessica has had to do in her life. This far too short EP rounds out with the song "Savior Saving Me" which talks about various times through her life where she has been reminded that Jesus has been her saviour. Like other tracks on this EP the problems discussed are very down to earth, illness, financial pressures, the death of someone close, things that we can all relate to. The touch of God in her life is a refining one, with the hook in the bridge of being taken from glory to glory. There may only be 4 tracks here but there really is an honesty about "Honestly". It's all about relying on Jesus, trusting Him with your past, present and future, being secure that He knows everything about us. That's fine for the 'spiritual' side but then there is the very real battle that goes on in the head and we hear her solution in "Kill and Bury". These are well-written and catchy songs and Jessica has a vocal range that is very adaptable to different types of music. 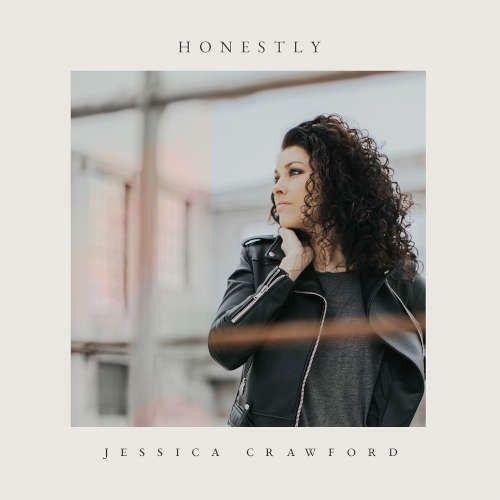 I believe that these tracks will speak into a lot of people's situations and I hope that Jessica will be encouraged to use her gift serving in her church, but also serving the wider body of Christ through more releases like this, just, perhaps, a little bit longer next time?